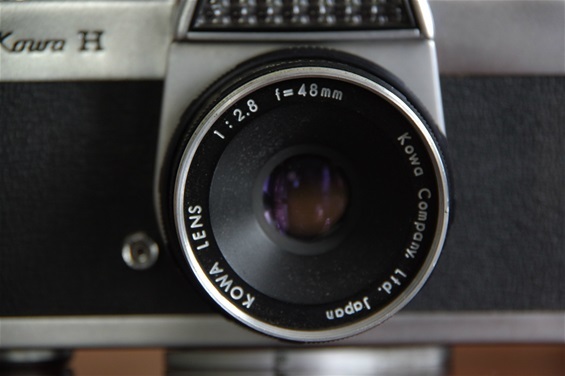 Kowa Optical was established in 1946 as a branch of a textile company founded in 1894. 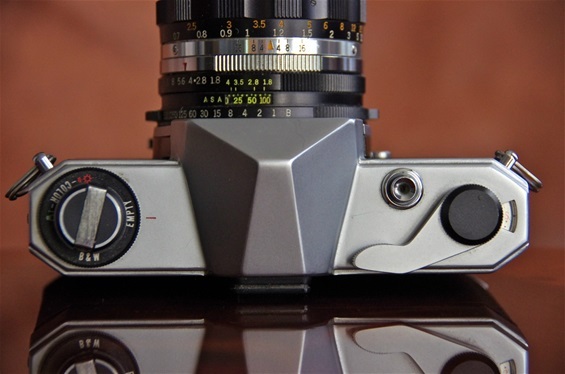 They produced their first camera in 1954 and their first PP SLR in 1960. 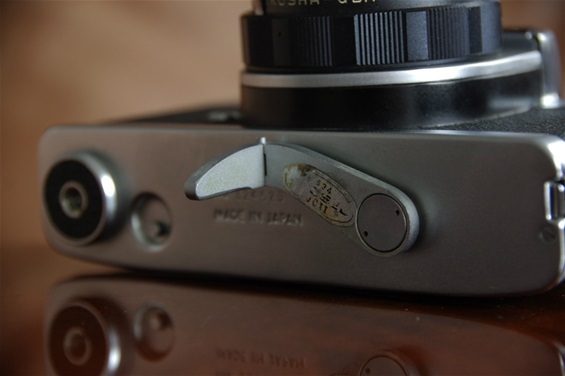 Uncommon for Japanese cameras, Kowas always came with leaf shutters, which means the shutter was built into the lens, not the camera. 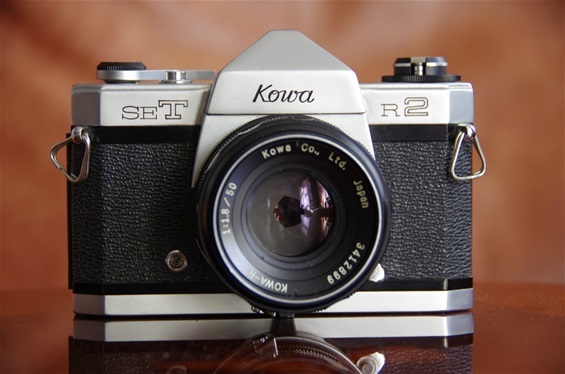 Kowa never produced much, and the last camera was introduced in 1972, although they continued for a while with some 6x6 cameras, like the Kowa Six. The camera production ended in mid '70s. 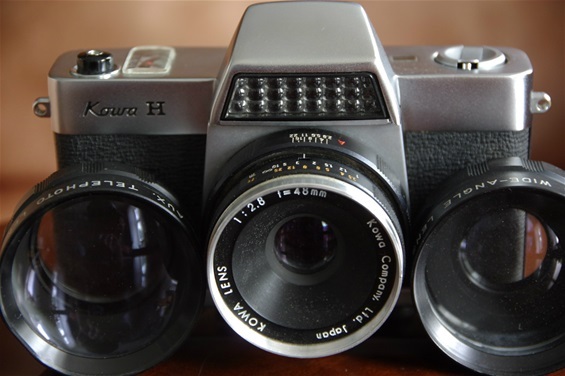 Presented here is an early Kowa H of 1963, and a late one, the SET R2 of 1970. The quality of later production may have been a problem for the reputation, as very few of the ones I have seen are still working. 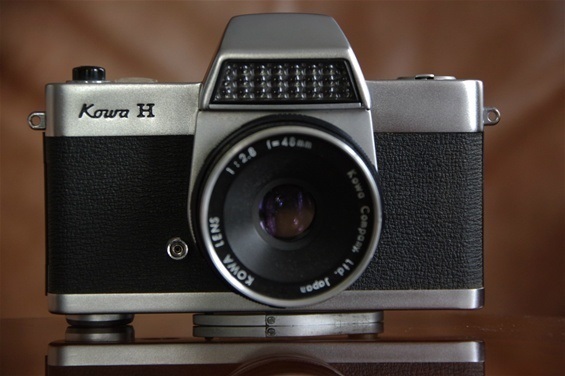 Kowa also made lenses for other cameras, such as the Prominar-Miranda for the Miranda B of 1959. The fixed 48/2,8 lens with built in shutter. Fixed lens with wide angle and telephoto converters. From left: rewinder, counter, window showing ASA value and the automatically chosen shutter speed and lastly shutter release button. But where is the winder? Under the camera! No more successful than that of the Canonflex four years earlier. 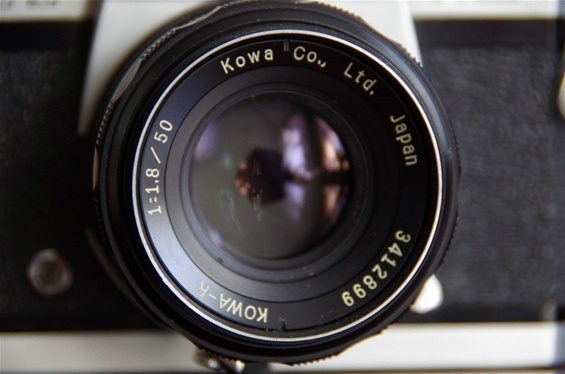 One of only two leaf shutter PP SLRs from Japan, The Kowa. 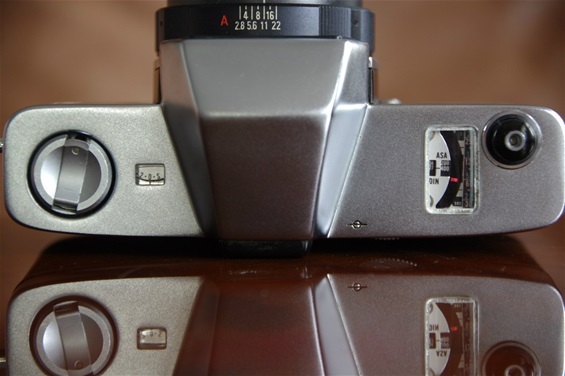 Here a model from 1970, the latest of the regular PP SLRs, the SE T R2. Sn. 964151. A Kowa-R lens of leaf shutter type, 50/1,8. Sn. 3412899. A simple layout, as shutter time setting was on the lens mount.